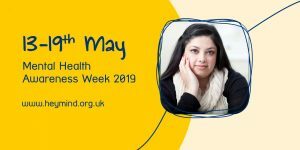 Mental Health Awareness Week is coming! Home / Mental Health Awareness Week is coming! Mental Health Awareness Week is next month. During 13th-19th May we want to raise awareness about mental health issues and to promote better mental health to everyone. We just wanted to use this as an opportunity to let you know what you can do to promote positive mental health and get involved this Mental Health Awareness Week. Volunteering at one of our events – during Mental Health Awareness Week we will be out in the community talking about mental health and raising money so we can help more people. If you could give some of your time, let us know. We’d really appreciate your support. We hope you will be able to get involved this Mental Health Awareness Week. It really does make all the difference by being open and talking about mental health, it helps to reduce the stigma sometimes associated with mental health problems.